Even though the crabs are the main ingredient of this dish and provides the majority of the flavor, it is probably the egg whites that are the soul of the dish. It is important that the egg whites are not overcooked as that would ruin the smooth texture. Also, egg whites by themselves do not have enough flavor, and it is essential to “borrow” the flavorful liquid that comes from the steaming of the crabs. 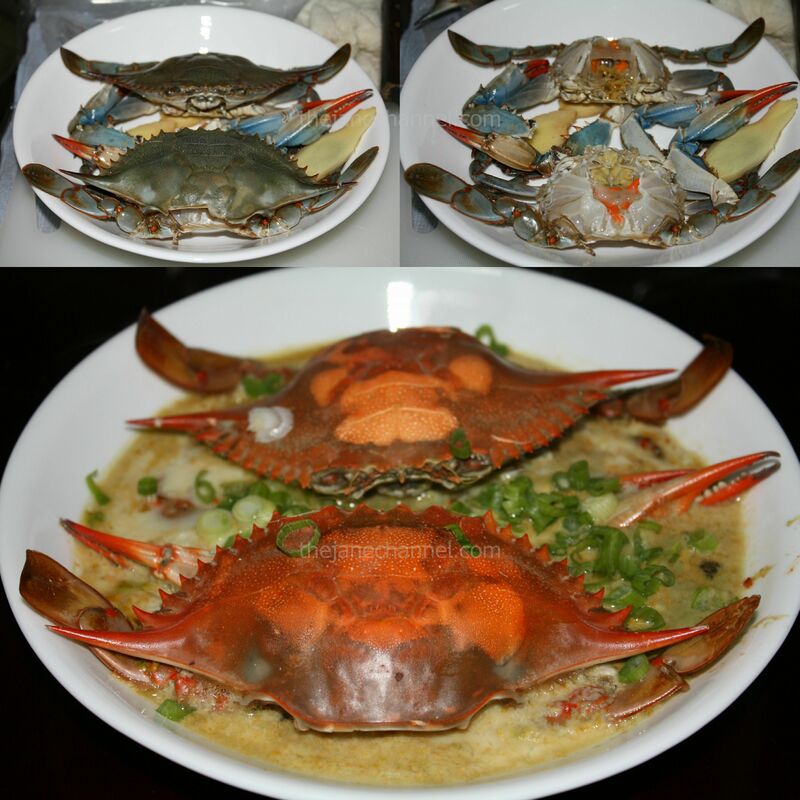 Lastly, the Chinese “Hua Diao” wine provides the fragrance of the dish and complements the flavor of the crabs. Remove crab shell and discard crab guts. Clean with brush carefully and rinse well. Remove claws. Place crabs and ginger on a plate. Bring a pot of water to boil, and set the plate on top of a wide-mouth wok or large skillet as the base with a metal stand to balance. (The stand can be found at Asian supermarkets). Make sure the water is about 1 inch beneath the plate. Cover and steam over boiling water for 6 minutes. Remove the plate from wok. Pour the egg mixture over the crabs and steam for another 6 minutes. Sprinkle scallions and sesame oil to serve.